英文摘要：In order to established an assay of loop-mediated isothermal amplification (LAMP) for Pseudomonas aeruginosa detection in laboratory mice. Specific primers for LAMP were designed based on P. aeruginosa oprL gene. P. aeruginosa-specific LAMP assay was established through optimizing the reaction system, and the optimal temperature of LAMP was found to be 66 ℃. The inner and loop primer concentration were 70 μmol·L-1 and 30 μmol·L-1, respectively. A total of 87 mouse serum samples were detected and compared with the standard assay of P. aeruginosa according to GB/T 14926.17-2001, and the P. aeruginosa-positive samples were further verified by PCR. Validation of the specificity and reproducibility of the LAMP assay was also performed. Finally, the limit of LAMP detection for P. aeruginosa was 103 times more sensitive than normal PCR assay. The detection rate of P. aeruginosa by LAMP assay in serum samples was higher than that by GB/T 14926.17-2001 assay (10/87 vs. 0/87). Therefore, we demonstrate that LAMP assay has the advantages of specificity, sensitivity, repeatability, and stability in detecting P. aeruginosa in mice. 蒋观成, 浦野徹. 1991. 绿脓杆菌从小鼠肠道中的转移[J]. 中国比较医学杂志, (2): 73. 王燕, 窦恒利, 陈世敏, 等. 2010. 抗铜绿假单胞菌外膜蛋白F单克隆抗体制备及夹心ELISA检测方法的建立[J]. 细胞与分子免疫学杂志, 26(9): 880-883. 邢进, 冯育芳, 高正琴, 等. 2012. 北京地区动物实验设施动物饮水无菌检测及绿脓杆菌污染菌株鉴定[J]. 实验动物科学, 29(1): 30-33. Baker DG. 1998. Natural pathogens of laboratory mice, rats, and rabbits and their effects on research[J]. Clinical Microbiolology Reviews, 11(2): 231-266.
de Vos D, Lim A Jr., Pirnay JP, et al. 1997. Direct detection and identification of Pseudomonas aeruginosa in clinical samples such as skin biopsy specimens and expectorations by multiplex PCR based on two outer membrane lipoprotein genes, oprI and oprL[J]. Journal of Clinical Microbiology, 35(6): 1295-1299. Deschaght P, de Baere T, van Simaey L, et al. 2009. Comparison of the sensitivity of culture, PCR and quantitative real-time PCR for the detection of Pseudomonas aeruginosa in sputum of cystic fibrosis patients[J]. BMC Microbiology, 9: 244. DOI: 10.1186/1471-2180-9-244. Diribe O, Fitzpatrick N, Sawyer J, et al. 2015. A rapid and simple loop-mediated isothermal amplification assay for the detection of Pseudomonas aeruginosa from equine genital swabs[J]. Journal of Equine Veterinary Science, 35(11): 929-934. Enomoto Y, Yoshikawa T, Ihira M, et al. 2005. Rapid diagnosis of herpes simplex virus infection by a loop-mediated isothermal amplification method[J]. Journal of Clinical Microbiology, 43(2): 951-955. Gordon LE, Ruml D, Hahne HJ, et al. 1955. Studies on susceptibility to infection following ionizing radiation. Ⅳ. The pathogenesis of the endogenous bacteremias in mice[J]. Journal of Experimental Medicine, 102(4): 413-424. Goto M, Shimada K, Sato A, et al. 2010. Rapid detection of Pseudomonas aeruginosa in mouse feces by colorimetric loop-mediated isothermal amplification[J]. Journal of Microbiological Methods, 81(3): 247-252. Horisaka T, Fujita K, Iwata T, et al. 2004. Sensitive and specific detection of Yersinia pseudotuberculosis by loop-mediated isothermal amplification[J]. Journal of Clinical Microbiology, 42(11): 5349-5352. Iwamoto T, Sonobe T, Hayashi K. 2003. Loop-mediated isothermal amplification for direct detection of Mycobacterium tuberculosis complex, M. avium, and M. intracellulare in sputum samples[J]. Journal of Clinical Microbiology, 41(6): 2616-2622. Kim HJ, Kim HS, Lee JM, et al. 2016. Rapid detection of Pseudomonas aeruginosa and Acinetobacter baumannii harboring blaVIM-2, blaIMP-1 and blaOXA-23 genes by using loop-mediated isothermal amplification methods[J]. Annals of Laboratory Medicine, 36(1): 15-22. Lodeng AGG, Ahlen C, Lysvand H, et al. 2006. Development and evaluation of a new PCR assay for detection of Pseudomonas aeruginosa D genotype[J]. Clinical Microbiology and Infection, 12(8): 761-768. Notomi T, Okayama H, Masubuchi H, et al. 2000. Loop-mediated isothermal amplification of DNA[J]. Nucleic Acids Research, 28(12): e63. Schwartz T, Volkmann H, Kirchen S, et al. 2010. Real-time PCR detection of Pseudomonas aeruginosa in clinical and municipal wastewater and genotyping of the ciprofloxacin-resistant isolates[J]. FEMS Microbiology Ecology, 57(1): 158-167. Silby MW, Winstanley C, Godfrey SA, et al. 2011. Pseudomonas genomes: diverse and adaptable[J]. FEMS Microbiology Reviews, 35(4): 652-680. Song T, Toma C, Nakasone N, et al. 2005. Sensitive and rapid detection of Shigella and enteroinvasive Escherichia coli by a loop-mediated isothermal amplification method[J]. FEMS Microbiology Letters, 243(1): 259-263. Yamazaki W, Ishibashi M, Kawahara R, et al. 2008. Development of a loop-mediated isothermal amplification assay for sensitive and rapid detection of Vibrio parahaemolyticus[J]. BMC Microbiology, 8: 163. DOI: 10.1186/1471-2180-8-163. Yoneyama T, Kiyohara T, Shimasaki N, et al. 2007. Rapid and real-time detection of hepatitis A virus by reverse transcription loop-mediated isothermal amplification assay[J]. Journal of Virological Methods, 145(2): 162-168. 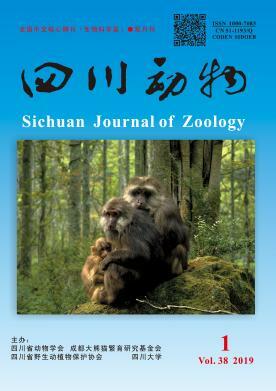 Zhao X, Wang L, Li Y, et al. 2011. Development and application of a loop-mediated isothermal amplification method on rapid detection of Pseudomonas aeruginosa strains[J]. World Journal of Microbiology & Biotechnology, 27(1): 181-184.